Ken's World in Progress: Craft & Hobby Association Show Product Preview! Color Burst! Craft & Hobby Association Show Product Preview! Color Burst! I am leaving for the National Craft and Hobby Association Show today and I have been waiting for months to share this product preview for the show! I'm bringing a new product to the market called Color Burst...and you are going to love it! 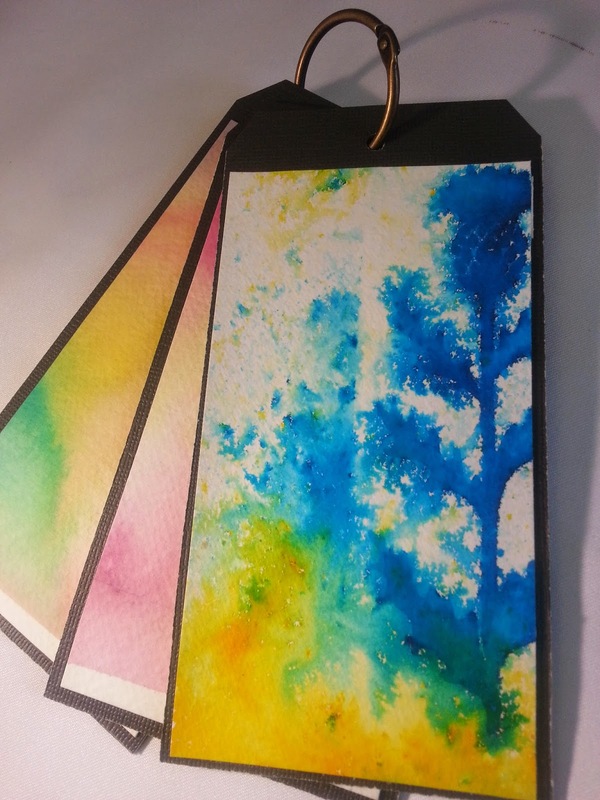 It's a watercolor product that will let you create AMAZING backgrounds for card, tags, mixed media projects, scrapbook layouts and for original works of art! 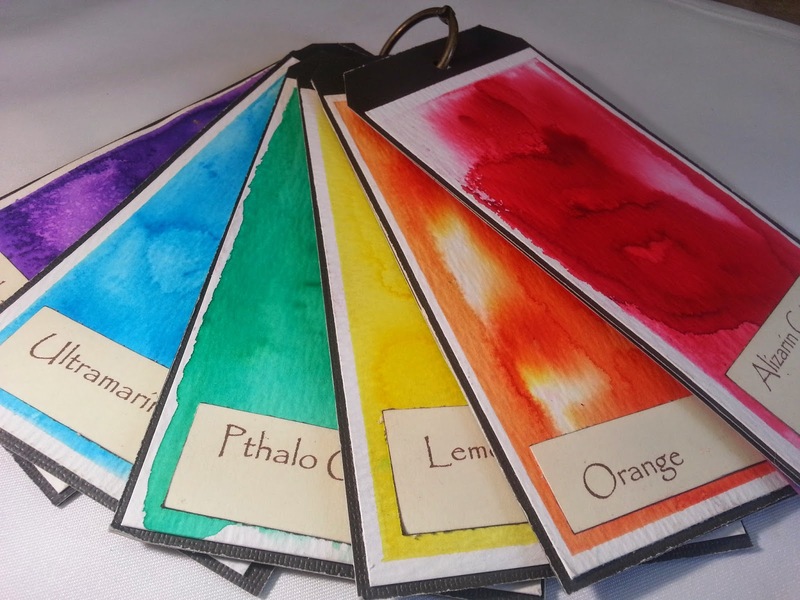 If you have ever wanted to achieve those beautiful watercolor looks, but were afraid to try, or thought it was too hard...this is gonna be the product for you. It's as simple as "Sprinkle and Spritz." It's that easy. 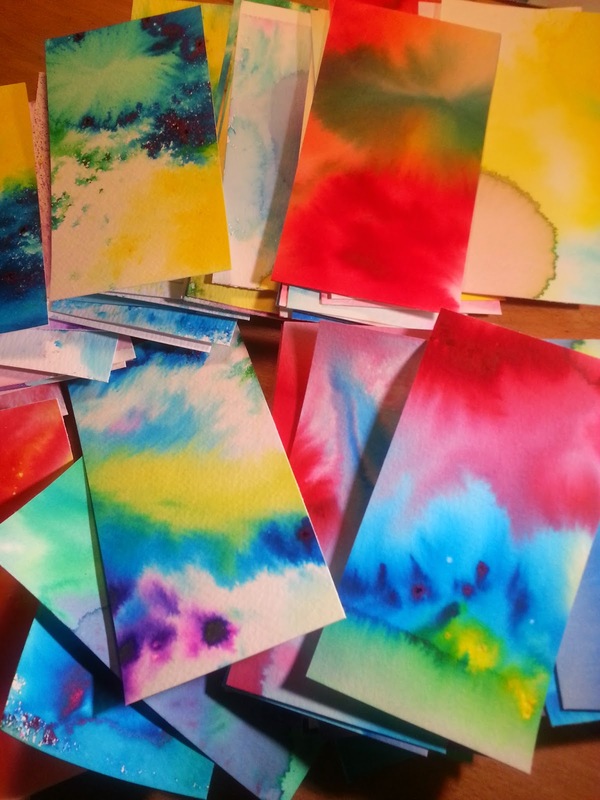 AND, there are tons of techniques that you can use to get lots of different results...you can use embossing powders, modeling paste, stencils, batik, wax resist, mastic...you will have so many creative options with Color Burst...this is going to blow your mind. (and it's FUN). 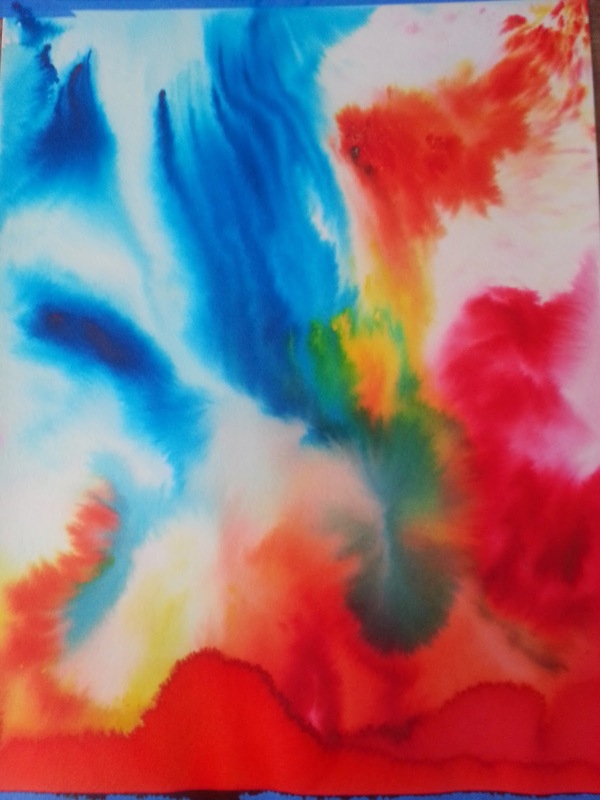 You may have tried mists and sprays in the past...only to be frustrated and disappointed as the nozzles get clogged or the pump sprayer stops pumping...this will solve all those problems and let you create with abandon! I am telling you, the spray is passe! Here's a little sneak peek of what you can do...but there's so much more! 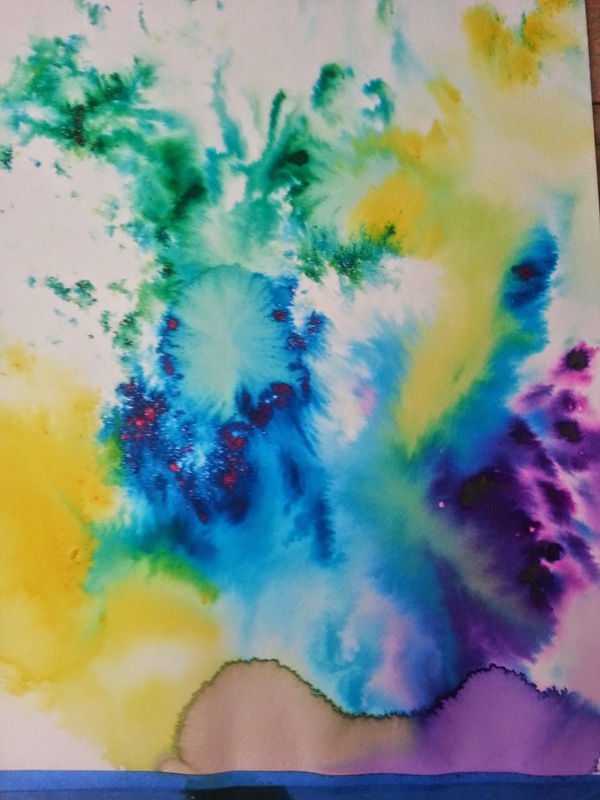 You can even use Color Burst for traditional watercolor techniques like washes...the colors can be intense or subtle...it's really one of the most versatile art products I've ever worked with and I think you are going to love it too! 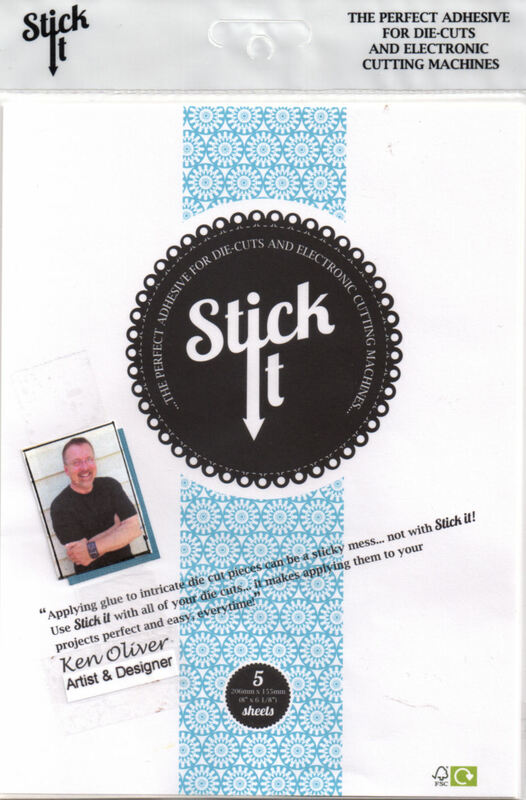 I'll be demonstrating this new product throughout the tradeshow in booth #1984! If you are coming to the show, make sure to come see this stuff in action! And, if you do the make n take with me...I'll have a prize for you...I blogged about that yesterday! 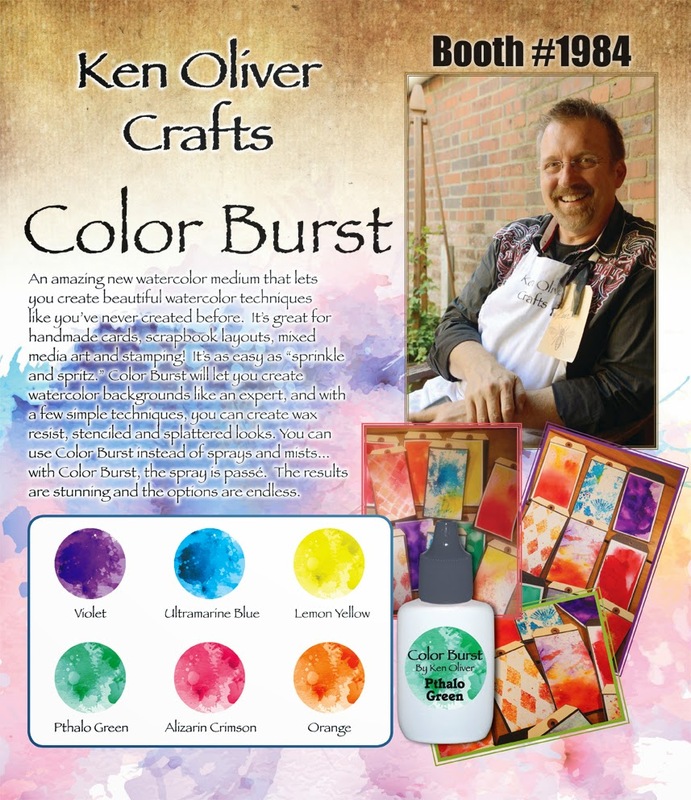 I hope to see you at the show, and if you're not going to be at the show...keep an eye on my blog or facebook page as I am sure we're going to post some videos of Color Burst in action...you gotta see this to believe it! Wish I could see it in person but I am stuck in COLD New England. Best of Luck at the show! Look like a colorful & exciting new product! Wish I was there checking it out first hand! Enjoy the Jan 2015 CHA experience, Ken! Looks beautiful.... and you had me at "fun". LOL I'm so hoping you will do a video demo of it so those of us (the consumers) that can't go to CHA can see it in action. Wow! And WOW again! Those papers look amazing! Ken- My boyfriend goes to music festivals and this would be perfect for backgrounds and tags! Love the tie-dye effect! Once again I bow to your mastery! lol! Ken, this is amazing. Can't wait to see the videos. WOW - this looks & sounds SO EXCITING Ken!!! PS - it is just a little too far for a day trip to CHA from down here in Australia ... I really do need a Star Trek transporter or maybe The Doctor will let me borrow his Tardis? Ken, you are just so creative! So happy to see you are starting you own product and wishing you the very best! Are there any plans to expand the color range? One other thing, are the colors waterproof when dry?